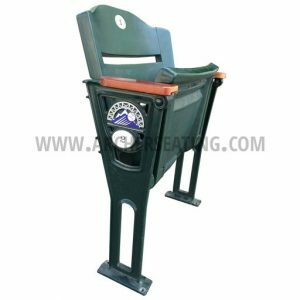 These beautiful authentic forest green seats are from Coors Field located in downtown Denver, Colorado, the home of the Colorado Rockies! 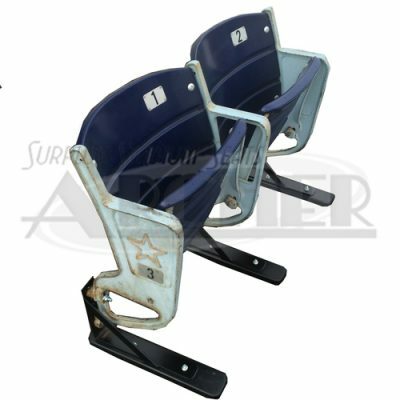 As seen in the photo, these seats have two detailed logos from the ballpark, thus making them truly unique from other stadium seats. 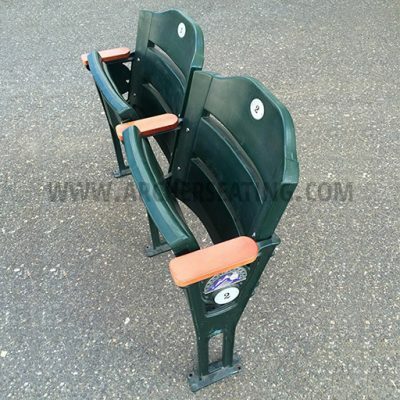 Forest green plastic seat and back from Coors Field. Forest green floor-mounted legs with Coors Field logos on both ends. 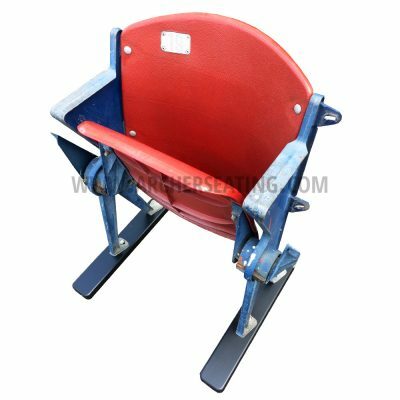 Wooden armrests as were on the suite level at Coors. 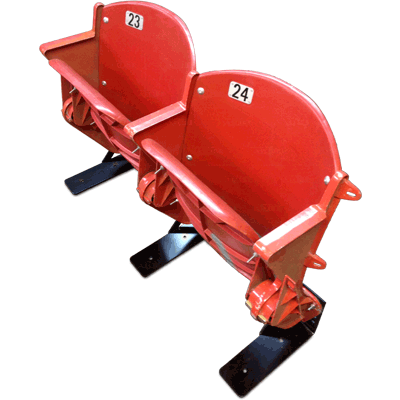 Other plastic seat/back options as well, please call (856-692-0242) for more information.